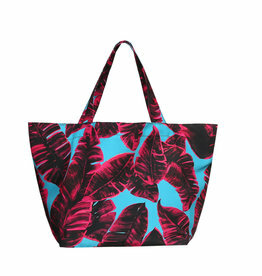 Hit the beach in style with this XL beach bag with stylish palm frond print. As practical as it is stylish! Taste the summer with Pink Flavour: a vibrant mix of fuchsia, aubergine, and fresh turquoise. 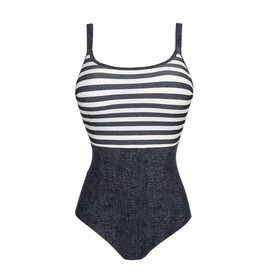 A body shaping suit with a comfortable fit. 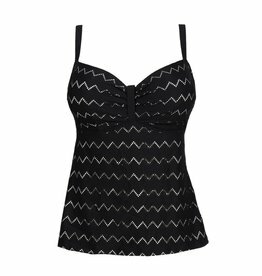 The sturdy front keeps tummy and waist in check. Elegant draping and fine details on the straps create a refined look. Shaping and support up to a G Cup! Every fashionista has at least one leather jacket in her wardrobe... and now also a swimwear set with cool leather look in her drawer. Exotic flowers, exuberant colours… Biloba gets you dreaming of tropical gardens and palm trees that rustle in the breeze. A Mediterranean summer feel. Plain convertible bottoms with belt effect.